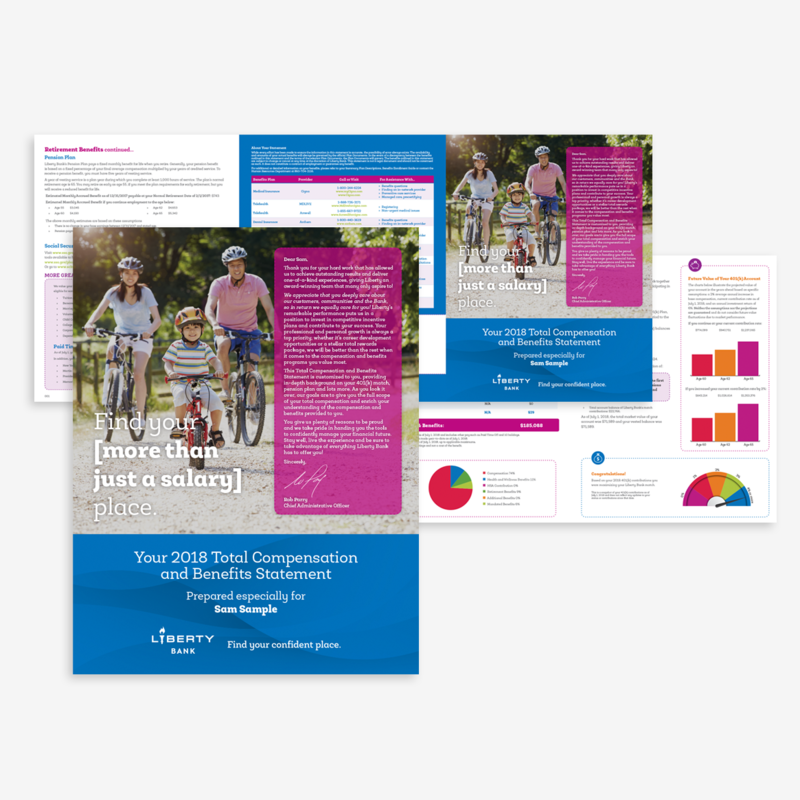 To provide a compensation statement to nearly 10,000 employees that highlighted the benefits available and the amount the employee and employer spent on those benefits in the previous year. 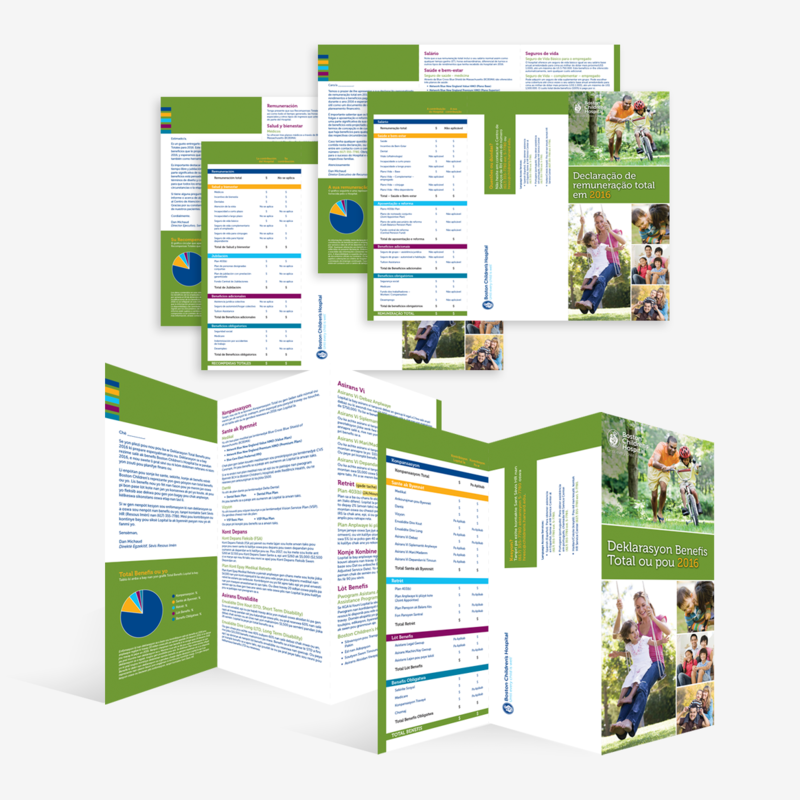 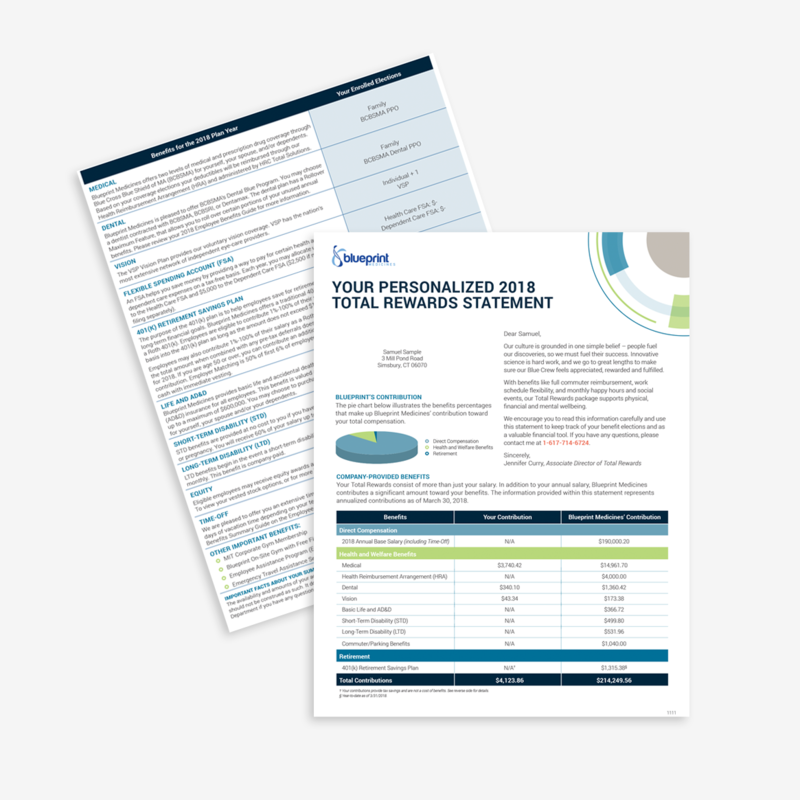 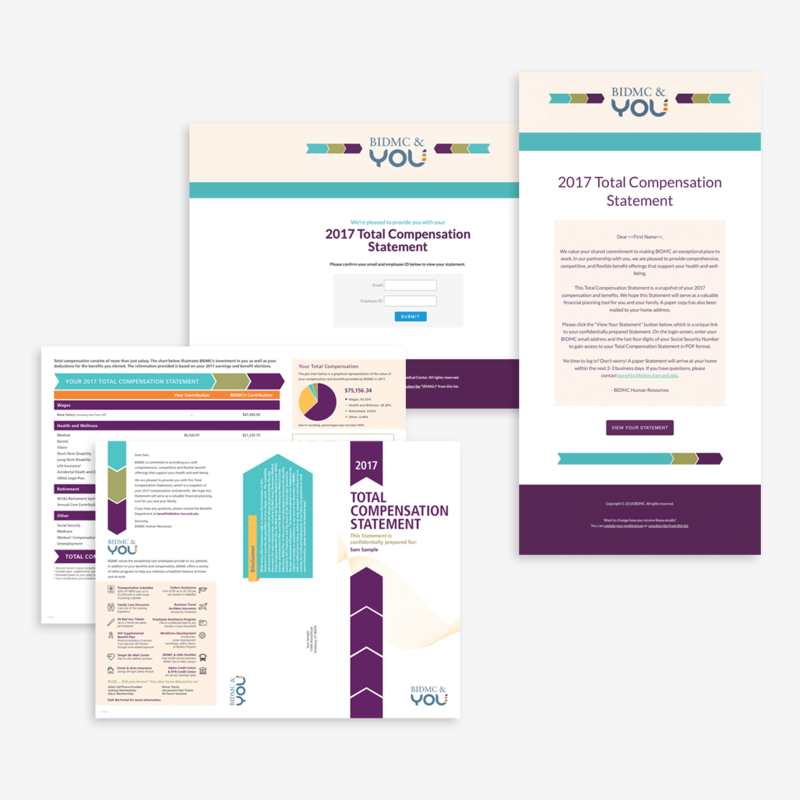 We produced a variable template that showed all possible scenarios for employees and programmed internally to produce 10,000 individual statements that were mailed to employee homes. 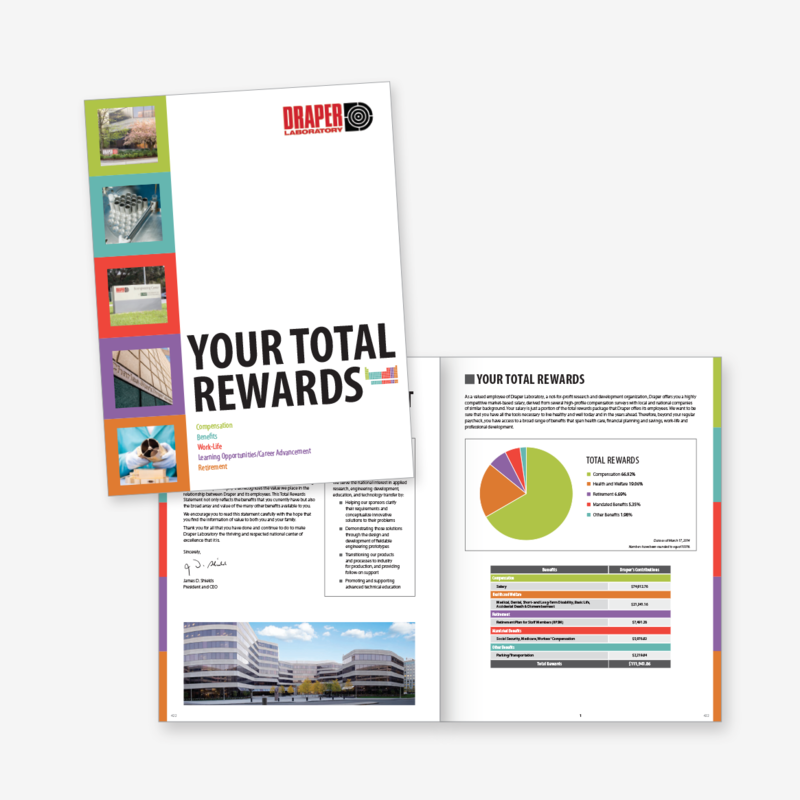 Employees recognized the amount the Hospital (and themselves) spent on their benefits each year and were able to see the breakdown by category (compensation, health, retirement, etc.). 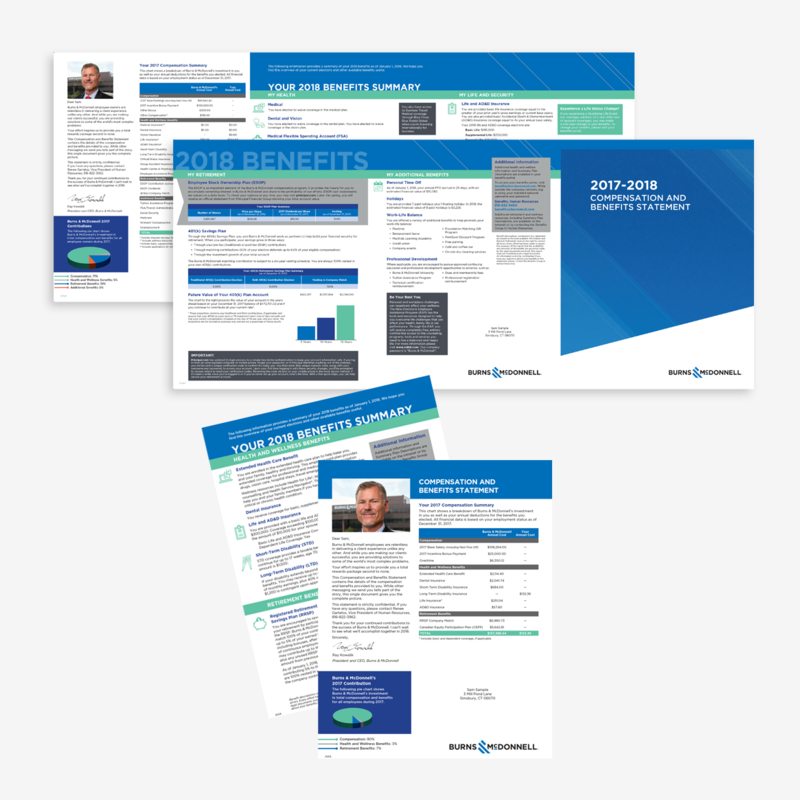 Employees were also reminded of the variety of benefits offered.